Adventure sailing in the Whitsundays is the ultimate experience. Join an adventure sailing tour on a maxi yacht and you are bound to have the time of your life that is full of authentic sailing, fun people and amazing destinations! 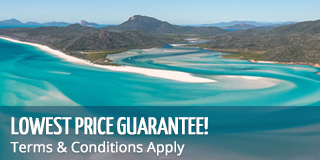 Maxi sailing tours are great value for money and are one of the funnest ways to experience sailing in the Whitsundays. Cheap, affordable, budget friendly - whatever it is you're looking for, a maxi is it! They provide a quality experience on the water and are designed for backpackers and those looking for a budget friendly tour. They are a social scene on the water, full of late nights and early mornings and packed full of adventure and excitement. Fraser Island and the Whitsundays are two of Australia's top destinations for travellers from all over the world. They are also popular with many local travellers, many of which visit these destinations during their own long weekends and extended holidays. They have been iconic Australian destinations for many years for their beauty and uniqueness and continue to be a favourite among holiday-makers. Airlie Beach is the main hub of the Whitsundays. With shops, restaurants, hostels, hotels and supermarkets, it's the go-to place for most travelling to and from the islands on boat tours, private charters and day trips. While the islands themselves have much on offer, it's a well known fact that Airlie Beach has phenomenal hiking and walking trails that make for a great way to spend time while on the mainland. We have listed some of our favourites below. The Whitsundays is a sailing mecca and is home to a huge number of fantastic overnight sailing trips some of which head to the outer Great Barrier Reef! Wondering what there is to do in Airlie Beach and the Whitsundays? We put together a "7 days in Airlie Beach" itinerary to help you get the most of your time here. Airlie Beach has so many fun activities, you might just decide to stay here longer than you planned! The Whitsundays are known for its sailing and boat tours that bring you to all the best parts of the islands to see highlights such as Whitehaven Beach, Hill Inlet Lookout and the fringing reefs of the Great Barrier Reef Marine Park. there are many tours available with something for every type of traveller to ensure you have the best time possible in this beautiful part of the world and no matter which tour you choose, you will see and experience the Whitsunday Islands in the best way possible and find out what the island lifestyle is all about! Below we have listed the 10 best tours in the Whitsunday Islands. The Whitsundays is certainly a blessed part of the world, known as a portal to many natural wonders. 'It's more beautiful in real life. A must see. (In fact) everything about the Whitsundays and Great Barrier Reef is incredible. ' - Trip Advisor This review is referring about the Heart Reef. The Whitsundays are known as one of the more romantic places in Australia. Dotted with tropical islands, colourful reefs, lush green forests and white sandy beaches, it evokes a sense of romance, occasion and even the desire to take the next step and pop the question! There are many romantic places in the Whitsundays where one might propose the question of marriage to their loved one. Here at Sailing Whitsundays we love love and have listed a few of our favourite romantic places where you can ask one of the most important questions of your life. Looking for the ultimate adventure? Want to experience another world? Discover Scuba Diving is for you. Experience the beauty and diversity of Australia's Great Barrier Reef in the best way possible, under the water! Under the guidance of our friendly and knowledgeable instructors, you can take a ride through the wonders of the underwater world for the first time, no previous experience necessary!